Listen now as Betty Ng talks about the power of helping people achieve great things! I recently had a wonderful conversation with Betty Ng that I am anxious to share with you. 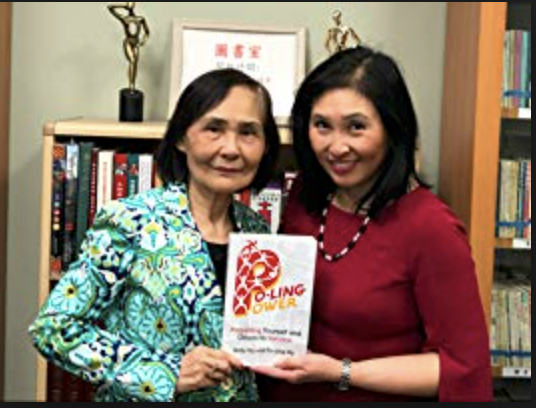 In April of this year, Betty published an amazing book with her mother, Po-Ling Ng, called "PO-LING POWER: Propelling Yourself and Others to Success." Widowed at an early age, Po-Ling had to raise her four children with wit and grit. The book and our interview both focus on the inspiring lives of these two incredible women who have risen above their challenging circumstances to make positive, lasting impacts on the lives of others. This podcast is really special. Don't miss it! While these two Chinese-American women leaders have had very different careers and life journeys, Betty and her mother Po-Ling share a common approach to propelling themselves and others to success. In brief, it is all about giving to others and focusing on how to help them achieve remarkable things. The concept of PO-LING POWER begins with their life stories, and their powerful approach could easily match your own. From our talk, you come away armed with a simple, effective way of seeing things with fresh eyes so you can make the right decisions to propel you into a better life for you and your community. It is all about focusing on what really matters: kindness, community and sharing. Betty Ng is the co-author of "PO-LING POWER: Propelling Yourself and Others to Success" and the founder/CEO of Inspiring Diversity (iD), a collaborative community with members of all backgrounds who inspire, empower and elevate each other to achieve goals. iD works with organizations to drive profitability and sustainability through increased employee inclusion, engagement and performance. Its mission is for members to experience the fulfillment that comes from living by the P.O.L.I.N.G. principles (Priorities, Others, Lead, Inspire, Network and Grow) and helping others succeed. A tech entrepreneur, content creator, author, trainer, public speaker and consultant, Ng holds degrees from Stanford University and Harvard Business School. Previously, she was a high-level executive at Citigroup and Moody’s. Enjoy our conversation. Read "PO-LING POWER." And tell us how you have propelled yourself and others to great success. Born in China into a family of eight, Po-Ling migrated with her parents to Hong Kong in 1949, enduring a childhood of extreme poverty. Working long hours after school to earn extra income for the family, Po-Ling was able to attend college, earning a B.A. in Sociology in 1963. After marrying Po-Ming Ng, a civil-engineer, Po-Ling taught at local schools while pursuing her diploma in education from the Sir Robert Black Teacher's College in 1967. After emigrating to the U.S., language barriers prevented Po-Ling from continuing the teaching career she loved, so she worked as a seamstress at a garment factory in New York's Chinatown. However, her heart was still in education and doing community work. Responding to an ad from the Chinatown Planning Council (CPC), she was soon hired as one of its first staff members. When Po-Ling's husband passed away suddenly in 1975, she was left on her own to raise their four children. Nevertheless, while working full-time as a single mom, she earned a master's degree in bilingual education from Long Island University, then a second master's from Fordham University School of Social Work. Becoming CPC's very first executive director, Po-Ling has spent 49 years dedicating herself to community work and is now a highly recognized and well-respected public figure in the Chinese community. Throughout her many years of service, Po-Ling endured tremendous hardships and numerous personal crises, but her persistence and determination won out each time. She turned grief into strength and continued to steadily move forward. 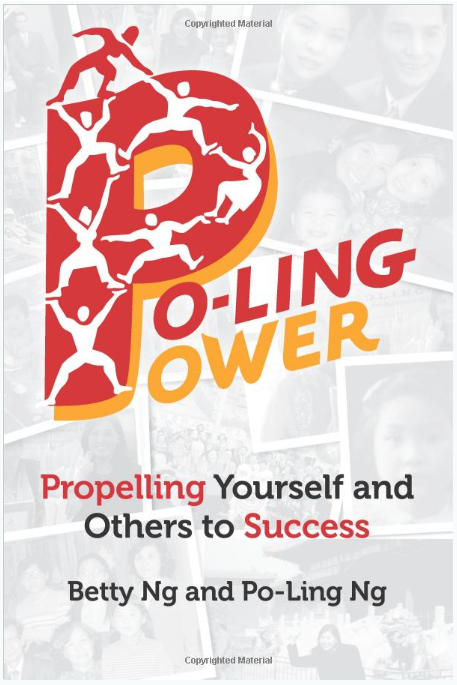 Betty and Po-Ling Ng's book, "Po-Ling Power: Propelling Yourself and Others to Success"